I have some fun blog hops that will be happening in November. And I am not sure just how I managed to do it but four are all during the same week. Good thing that I tend to make up my designs early so that I don't feel rushed. This first hop is one that has been rescheduled a couple times due to the fact that the roof fell in on the hostess. Literally. So it was pushed back until November 11th. This was actually a good thing because it gave me a chance to work up another necklace for this hop. I can't wait to see what everyone has made with these incredible lampwork beads. Next up is challenge that is hosted by Andrew Thornton. 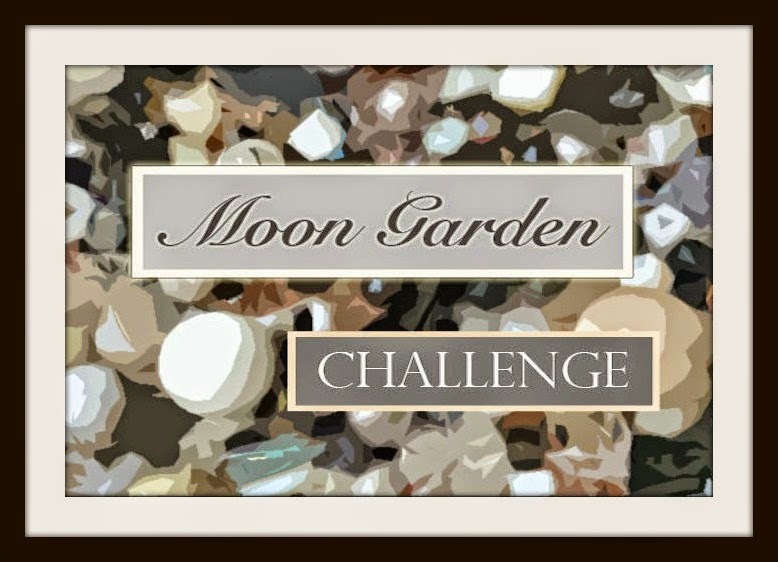 It was inspired by the colors you find in moonstones and thoughts of alien gardens. It will be on November 13th. 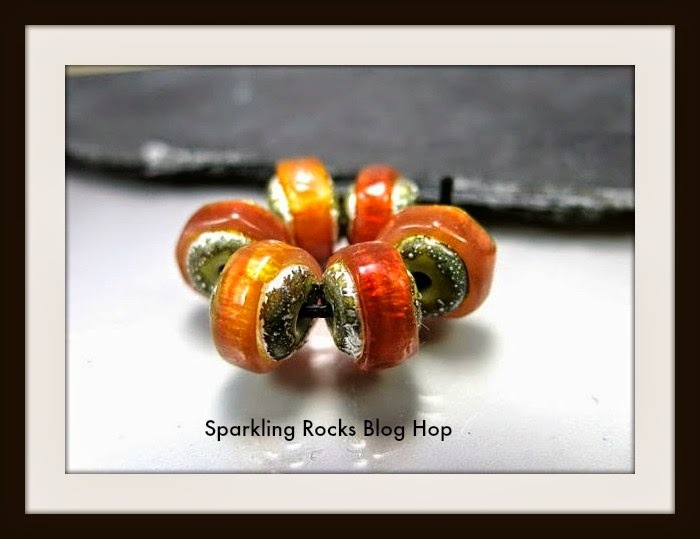 The next one is actually both a blog hop, a charm swap and a charity auction to benefit Beads of Courage. Several artist get together and make up Art Charms to exchange with each other. The fun part is that we make an extra charm to be auctioned off for this great charity. On November 14th, we reveal the charms we have made and the auction commences. 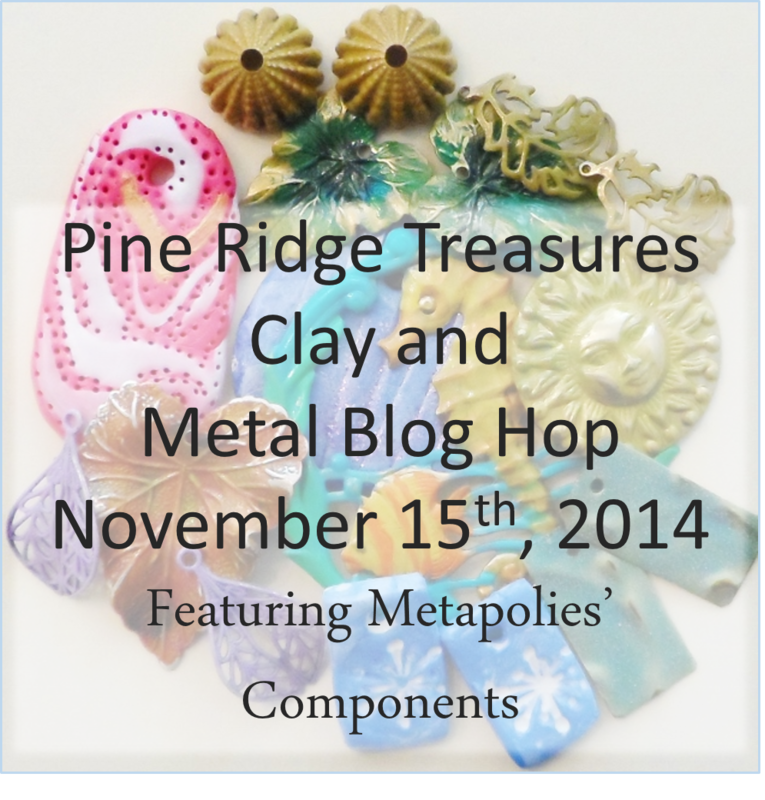 This next hop is based around components from one of my favorite artists, Sheryl of Metapolies, and is being hosted by Lisa of Pine Ridge Treasures. I always try to get into Lisa's hops because they are so much fun. It will be on November 15th. This last one for the month (so far) the Be Thankful blog hop being hosted by Marybeth of A Few Words From Within The Pines. This one is centered around Czech glass beads and a handmade copper clasp. It's being held a few days before Thanksgiving on November 22nd. Now you have an idea of what I will be sharing this month, or at least some of it, I hope that you will be stopping back by to see what I and all the other jewelry artist have put together in November.